Free Shipping Included! 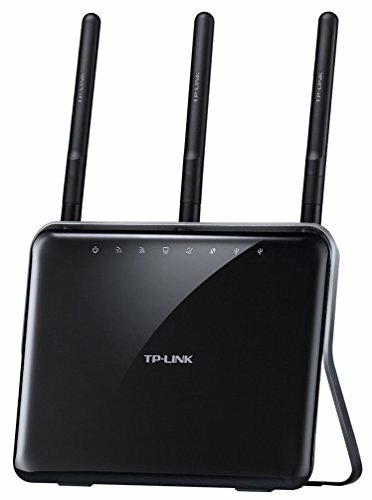 TP-Link AC1900 High Power Wireless Wi-Fi Gigabit Router, Ideal for Gaming (Archer C1900) by TP-Link at Pacs BG. MPN: Archer C1900. Hurry! Limited time offer. Offer valid only while supplies last. The Archer C1900 creates a reliable, blazing-fast network using 802.11ac, dual band, and high-powered 900mW amplifiers for ultimate Wi-Fi coverage. The Archer C1900 creates a reliable, blazing-fast network using 802.11ac, dual band, and high-powered 900mW amplifiers for ultimate Wi-Fi coverage. Stream 4K Ultra HD video and game online without lag over a clear 5GHz band while using the 2.4GHz band for everyday tasks like checking email and web browsing. The C1900's dual USB ports make it easy to share files, photos, and music across your network, and beamforming technology helps the router strengthen its connections to WiFi devices.